Please support us on Patreon if you can! 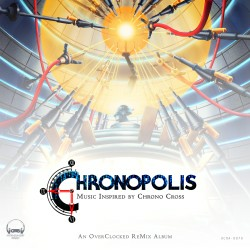 Chronopolis: Music Inspired by Chrono Cross! 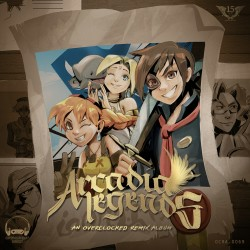 Arcadia Legends: Music Inspired by Skies of Arcadia! Hometown Heroes: Town Themes Arranged! 5 discs, 70 tracks by 56 artists, in a wide variety of styles, genres, and moods, celebrating the game's 23rd anniversary! We need YOUR help! 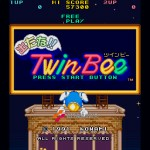 PLEASE SUPPORT US ON PATREON!! 03-11 - OC ReMix presents Chronopolis: Music Inspired by Chrono Cross! 12-20 - OC ReMix presents Arcadia Legends! 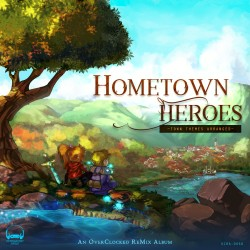 11-19 - OC ReMix presents Hometown Heroes: Town Themes Arranged! 10-31 - HAPPY HALLOWEEN! 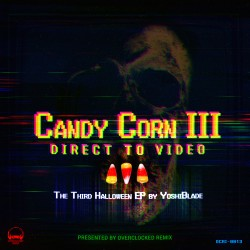 OC ReMix and YoshiBlade present Candy Corn III: Direct to Video! 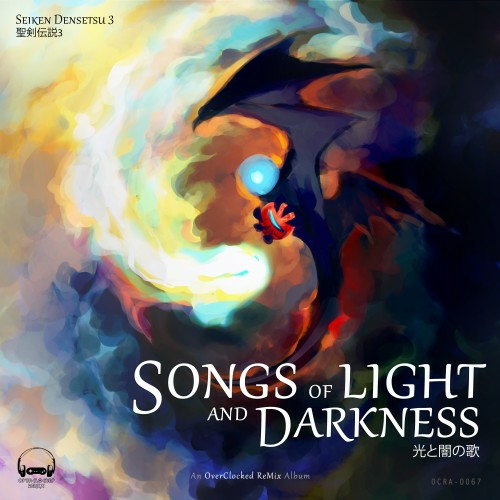 10-01 - OC ReMix presents Seiken Densetsu 3: Songs of Light and Darkness! 11:39 - Happy 30th Birthday, GameBoy! 03:09 - PRC & MnP Missing! 01:14 - Hollow Knight "Goldpath"
01:55 - Tintin: Prisoners of the Sun "Partons à l'Aventure"
11:30 - Secret of Mana "Eternal Beginnings"
10:46 - Legend of Zelda: Ocarina of Time & Legend of Zelda "Zelda's Legend"
03:30 - Journey to Silius "0373"
Castlevania III: Dracula's Curse "Baño de Sangre"
The Legend of Zelda: Ocarina of Time "The Princess of Destiny"
Secret of Mana "Colours of the Winter Sky"
Animal Crossing: New Leaf "Late-night Ambience"
The Legend of Zelda "Destined"
Final Fantasy IV "Devotion to the Motif"
Skies of Arcadia "The MFD"
Skies of Arcadia "Better Days"
Skies of Arcadia "To the Horizon"
Chrono Trigger "Save the Future"
Splatoon "Full Sleeve [InK Me uP]"
Suikoden "Man-Eating Spores of Agony"
Contra: Hard Corps "Maximum Contra Overdrive"
The Legend of Zelda: Ocarina of Time "Buy or Bye"
"If I Could... (Synthwave Mix)"
"Heart of the Sacred Grove"